designed to slash your tax bill! No credit card needed! No risk! No obligation! Save big money by claiming every legal deduction! Lose your fear of the IRS! Finally get in control of your money! Help your accountant save you money! Put cash in your clients’ pockets! Identify real-world tax strategies you can use! Better serve the one-owner or husband/wife-owned businesses! Get new, creative ideas that work! The “Tax Reduction Letter” is perfect for . . . The first outside person selected to serve as the “Official Spokesperson” for the J. K. Lasser Tax Institute. The Journal of the American Society of CLU. 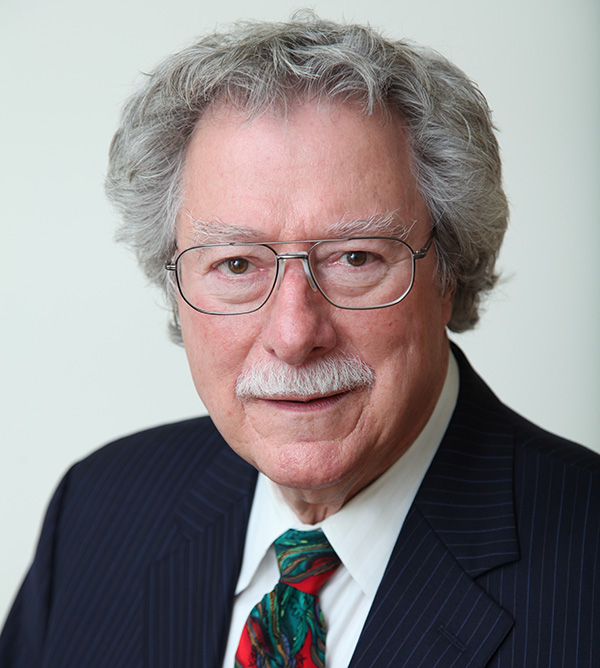 W. Murray Bradford is licensed as a CPA in California, Minnesota, and Washington, D.C. He is a member of the California Society of CPAs, the Minnesota Society of CPAs, the Greater Washington, D.C. Society of CPAs, and the American Institute of CPAs. Milt Seropan, Seropan Enterprises, San Francisco, Calif.
No surprise. We save our readers thousands of dollars! Bill Dawson, ERA Realty Pros, Ledyard, Conn.
Julian Block, Esq., Former IRS special agent and author of the nationally syndicated column, The Tax Advisor. dealing with over 70 topics! Start checking them out now! the License Agreement for this site. Pardon the “legaleze,” but we want to spell out our subscription license agreement so everything’s clear . . .
By clicking the “ACCEPT” button when you register, you’re entering into a subscription License (this “License”) with Bradford and Company Publishing, Inc. The License covers your use of its Bradford Tax Institute (www.bradfordtaxinstitute.com) web-hosted Tax Reduction Letter. Registration means you agree to the terms and conditions of this License, as listed below. If you don’t want to agree to the terms and conditions of this License, you should click the “CANCEL” button. But we sure hope you don’t! 1. Grant of License. All materials on the Bradford Tax Institute web site and in the Tax Reduction Letter are copyrighted by Bradford and Company Publishing, Inc. Conditioned upon your compliance with the terms of this agreement, and as outlined below, Bradford Tax Institute grants to you a limited license to use Tax Reduction Letter for the term you specify in your subscription. 2. Limited Individual license. Your limited subscription license is non-exclusive, non-transferable, and may not be sub-licensed. That means it is limited to you. As a result, you may not share your password or allow access to Tax Reduction Letter through a network or other means. You agree to make reasonable efforts to protect the confidentiality of your password, and agree not to permit any other person or entity, including your fellow employees or employer, to use your password to access Tax Reduction Letter. To arrange for more than one user, please contact us at our operations center in San Rafael (not the editorial offices in Washington, D.C.) by calling 415-446-4340 or emailing contactus@bradfordtaxinstitute.com. We’re always glad to hear from you. Although you may print a single copy for your individual use, or make other “fair use,” pursuant to the Copyright Act (17 U.S.C. Section 101 et seq. ), all other copying, reproduction, distribution, transmittal, display, or publication of copyrighted materials is expressly prohibited without the prior written permission of Bradford and Company Publishing, Inc. By way of example, you may not email, fax, or otherwise distribute an entire issue; republish, reprint, or repackage the contents of Tax Reduction Letter; or post an article or story from Tax Reduction Letter at your website or at another website. You may not alter or remove any trademark, copyright, or other notice from copies of the content. To the extent that you wish to make copies of specific article(s) for limited distribution , such as to colleagues or clients, please contact us for reprint permission at our operations center in San Rafael by calling 415-446-4340 or emailing contactus@bradfordtaxinstitute.com. 3. Our no-risk, no-hassle guarantee. Any time during the first 90 days of your subscription, you can request a full refund of all the money you’ve paid and Bradford Tax Institute will refund all that money and cancel any recurring authorizations. 4. Your price is guaranteed for the term of your subscription. If you selected auto renewal, your price is guaranteed for the auto renewal period, which runs to the expiration of the credit card you used for the auto renewal. 5. Cancellation of your subscription. If you ever choose to cancel your subscription, Bradford Tax Institute will refund, within three business days, all unused subscription money you’ve paid and cancel any recurring authorizations. 7. About an interruption in service. You understand that your access to the website may be subject to limitations, delays, and other problems inherent in the use of the Internet and electronic communications. We will use all commercially reasonable efforts to make the website accessible, subject to routine maintenance, but do not guarantee that the website will be accessible 24/7. 8. Disclaimers. You understand that the Bradford Tax Institute web site and the Tax Reduction Letter are generalized publications are not rendering legal, accounting, or other professional advice. Tax strategies and techniques depend on your specific facts and circumstances. You should implement the information in this newsletter only with the advice of your tax and legal advisors. While we aim to provide valuable information, the Bradford Tax Institute web site and Tax Reduction Letter are provided “as is.” We hereby disclaim all warranties, express and implied, including the implied warranties of merchantability and of fitness for a particular purpose. We neither warrant nor represent that the services or information available through Bradford Tax Institute web site and in the Tax Reduction Letter will enable you to achieve any particular result or outcome, legal, economic, educational, or otherwise. We will not be liable for any incidental, indirect, consequential, or special damages of any kind arising out of your use of Bradford Tax Institute web site and the Tax Reduction Letter. In the event that any of the foregoing limitations and disclaimers is ineffective, you agree that our maximum liability to you shall be the total of the fees that you have paid to us in connection with your access to Bradford Tax Institute web site and/or for products or services that you have purchased from us. The remedies available to you against us under this agreement are exclusive. 9. Resolution of Any Disputes. You agree that any dispute arising from, relating to or in any manner connected with the License shall be construed under and resolved in accordance with the laws of the State of California, exclusive of its choice of law principles. Any such dispute shall be litigated only in the state or federal courts of California, to the personal jurisdiction of which you hereby consent. can save small-business owners a fortune! At the beginning of every month the “Tax Reduction Letter” sends subscribers an email alert containing a private link to a brand new, thoroughly-researched and footnoted article. The kind of article you can check out now when you take advantage of our 7-day, free access-to-articles offer. The “Tax Reduction Letter” keeps track of changes to the law, decisions in the courts, and combs through IRS rules and regulations for ways to save you money. Big money. The bottom line? The “Tax Reduction Letter” will keep you up to date on totally legal strategies you can use immediately! Don’t miss this chance to see for yourself how the “Tax Reduction Letter” can help you take advantage of every single tax break Uncle Sam has to offer. What have you got to lose but a huge tax bill? Questions? Contact Us. We're glad to help.